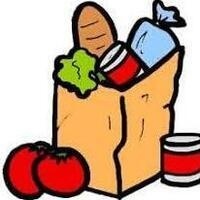 The Lion Food Pantry will be open this Wednesday, April 17 from 11:00 a.m. to 4:00 p.m. for those students who may be in need of assistance with food and/or personal hygiene items. The Lion Food Pantry is located on campus at Texas A&M University-Commerce in Craddock Hall (Building B10 on the campus map), Room A1. This service is open to any currently enrolled student in need. Please bring your current student ID card, and please feel free to share this information! We continue to grow to better serve our students. Thanks to generous donations, we now have prepared food items such as sandwiches, as well as stews, soups and chili in our freezer, and these are very tasty and wholesome! For more information, or to see how you may be able to help support the Lion Food Pantry, please contact LionPantry@tamuc.edu.